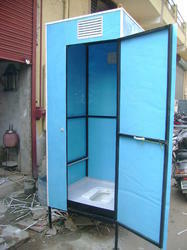 We are a leading Manufacturer of frp toilets, frp executive toilet, needhi frp portable toilet, frp bio-toilets, executive portable frp toilet and eco frp toilet from Ahmedabad, India. 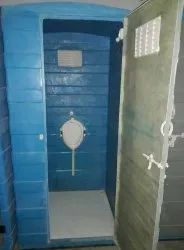 Usage/Application House, Toilet, 4' X 4' x 7' Ht. Fully Finish Model. 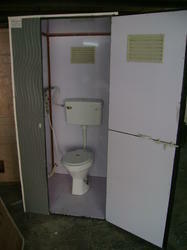 Known as first among the best, we present clients with the premium quality of FRP Toilets. 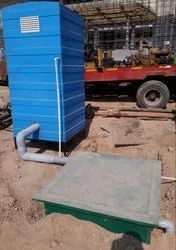 Used for defecation of human waste, the FRP toilets is known for its ability to tolerate adverse weathering conditions and sturdy construction. 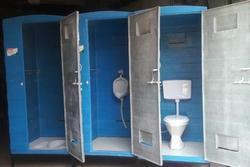 Furthermore, FRP toilets is known for its resistance against corrosion and leakage. 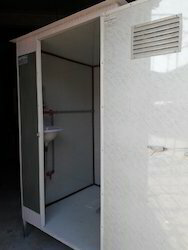 Needhi Fiberglass present are an attractive range of Eco FRP Toiletwhich is available in varied designs, colors and sizes. 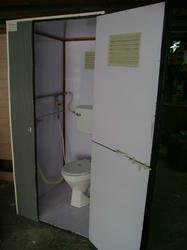 The FRP Toilet offered by us, have durable finish and high strength. 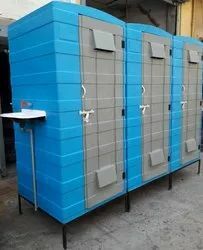 We are engaged in manufacturing FRP portable toilet that are high in quality with easy installation and maintenance. 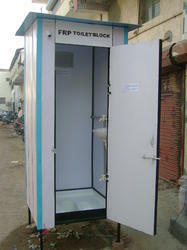 FRP portable toilets are designed for single person with facility for Indian or western commode. 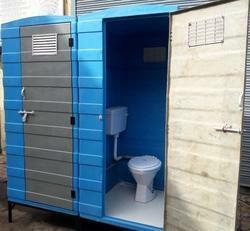 our FRP portable toilet are weather and corrosion resistant. we also provide these in customized forms to suit the varied requirements of our clients. we offer efficient service on time, not some time.